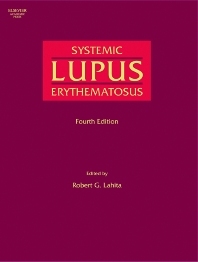 Systemic Lupus Erythematosus, Fourth Edition, provides an understanding of the basic mechanisms as well as the diagnostic and therapeutic aspects of lupus. This book is attractive to both the investigative community and clinicians. As lupus has become a paradigm for the study of autoimmune disease, immunologists investigating autoimmunity are becoming more interested in lupus. Basic immunology of phospholipid antibodies, clotting abnormailities, issues concerning pathogenetic fit with SLE, and newest methods of therapy of APLS are given in this newest edition of a classic reference. Immunologists, basic and clinical researchers, rheumatologists, dermatologists, clinical researchers studying women and health, hospital and medical school libraries.